What could be better than eating raw fruit? Well, for me, lots of things. I know, fruit is good for me. I’m just not that crazy about picking up a piece of fruit and eating it. If it’s Ontario peaches in season, I eat bushels of them over the sink, drowning in the juice – it’s like an out-of-body experience. But apart from that, I’m not that attracted to just plain fruit. I’d much rather do something with it. Cooked fruit? No, not unless there’s a crust around it; and I’d have to make my own crust out of non-wheat flours, and really, though I love pie as a treat, it’s not that great nutritionally. Fruit juice? I’d prefer to get the whole fruit. 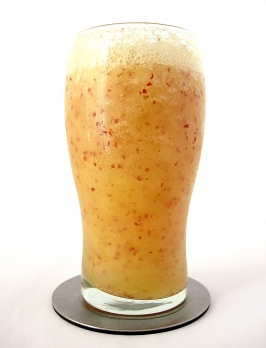 Juicing concentrates the fructose of the fruit, while leaving out a lot of the flavonoids and all of the fibre. The blood-sugar spike I get from juice makes me feel like I’ve just drunk a glass of pop. Or soda, depending on regional biases. So what shall I do? I shall yield to my sadistic fructicidal impulses, and get out the Evil Fruit-Mangling Device! Um, I mean, the blender. Mine is different from this one, but you get the idea. (Thank you, MorgueFile!) Just pretend that food-processor part isn’t there for the moment, and concentrate on the blender side of the Mangling Force. 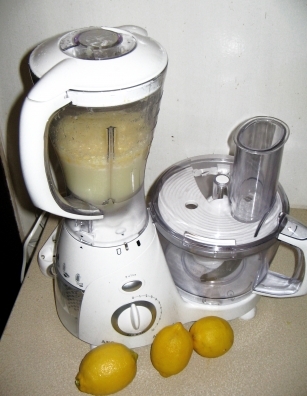 If you have a high-powered blender like a Vita-Mix, there’s less work to do, but you can still make delicious mangled fruit drinks in a conventional blender. 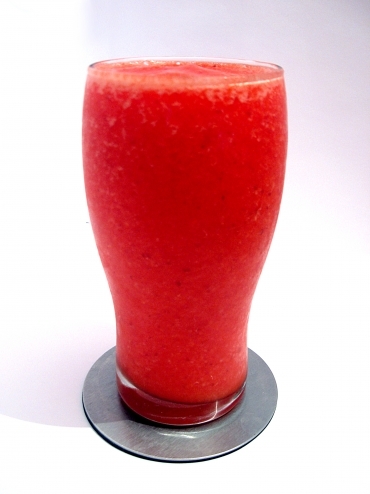 Mangling makes a delicious beverage out of the fruit, not just the juice. You get a smooth, thick, creamy treat out of it that feels like something you should feel guilty about having. Actually, you’re just having raw fruit, in a particularly decadent way. You don’t even need to add any kind of dairy; it’s even better if you don’t. And definitely don’t add sugar. If you want things a little sweeter, a small dollop of honey is all you’ll need. This recipe is very popular with kids (and adults) who like orange-cream pops, but know they ought to eat something healthier. Give it a go… hope you enjoy it! If using a conventional blender, peel the oranges and divide them into sections, squeeze out the seeds, and crush the ice cubes. Place ingredients in blender in this order: water or juice, vanilla extract, oranges, ice. Gradually work up to processing on high, so as not to stress out your blender’s motor (unless it’s one of the high-powered ones that says it’s okay to just let it rip under these kinds of circumstances). Depending on the power of your blender, you might find you need more liquid, or less ice. Process until everything’s thick and smooth and frothy. Then serve and enjoy. You can also do this kind of thing with different combinations of fruits – some of them frozen for extra smoothness. Bananas blend in well, making the drink more creamy. 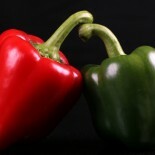 Cinnamon, nutmeg and other spices can give lots of variations in flavour. Strawberries and cherries, peaches and blueberries, apples and cinnamon… be creative. Be experimental. I’m with you. I eat a lot more fruit when it’s mangled. Especially in the summer. These mangled fruits replace the mundane ol’ milkshakes. And you can have more of them, which appeals to my gluttonous impulses! In the end, I’ll eat the fruit. It’s a balance – I like mangled fruit, but I really, really, really hate cleaning up the liquidora. AKA fruit mangler. I have even seen fruit-resistant children enjoying them, which impresses me no end. This entry was posted on February 15, 2013 by thinkreadcook and tagged beverage, flavonoids, food, fresh fruit, fruit, health, juice, natural ingredients, nutrition, oranges, recipe, shake.